We aim to provide a consistently high level of clinical care for our patients, as well as a personal and understanding environment for both patients and owners. All fees, diets and drugs are subject to VAT at the current rate. 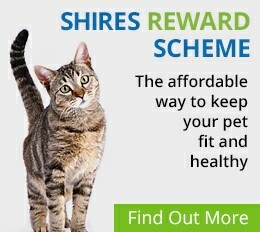 A consultation fee is payable for each and every veterinary consultation. This may be at a reduced rate for subsequent and follow up consultations. We will endeavour to provide estimates for procedures and treatments. You must appreciate that sometimes our estimate will be exceeded because unexpected complications may occur. If we think that our estimate may be exceeded by more than 20% we will try to contact you for your authority to proceed. If however, we cannot do so quickly, we will complete any treatment in the way in which we judge is necessary to protect the welfare of the animal. Accounts are to be settled in full on discharge or at the time of treatment. Should you have any concerns with regard to payment, please advise our staff prior to consenting to the treatment for your animal. We accept cash, credit/debit card or cheque with a current bankers card. Should an account not be settled, a reminder will be sent out with an additional booking fee to cover administrative costs incurred. If after due notice the account remains overdue, the account will be passed on to the County Court Service. 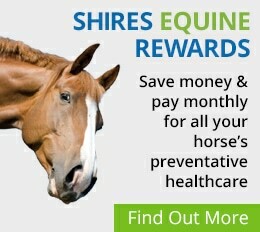 We recommend that all our clients consider taking out animal health insurance. We do not sell insurance and cannot advise on the merits of any particular policy. It is your responsibility to settle your account and reclaim the fees from your insurers. We will complete the claim form and provide copy invoices for you. There is currently no charge for this service. House visits are available by prior arrangement only. House visits will occur an additional fee. Outside of normal surgery hours, please contact your usual branch. There will be an out of hours surcharge should we need to see your animal. For Small Animals, we consider it in the best interests of your pet to be seen at the Stone practice rather than in the home in order to provide effective and rapid treatment. For hospitalised patients, checks out of hours are at a frequency determined by the duty vet with respect to the clinical need of each individual patient. There is staff accommodation on site, but no 24 hour continual monitoring cover is in place. The general policy of this practice is to re-assess an animal requiring repeat prescriptions every 3 months. This may vary depending on individual circumstances. If you wish, you may request a written prescription for your animals medications to be dispensed by a third party. This is not the case with drugs supplied in an emergency or under anaesthesia. Case records, including notes, radiographs and similar documents are the property of, and will be retained by, Shires Veterinary Practice. Copies with a summary of the history will be passed onto another Veterinary Surgeon on request. The charge made for radiographs and similar investigations is for the procedure and interpretation of the procedures. The physical record/radiograph remains part of the clinical history of the patient and will be retained by the practice. We will work to provide you with a service with which you are very pleased. If, however, you are unhappy with our service please speak in the first instance to the vet treating your animal. If you are still unhappy then please ask for a copy of our complaints procedure which details how to make a full complaint. We promise to use client details only for the purpose of our business. We will not intentionally pass any details to third parties, unless specifically detailed below, without your permission. We may, from time to time send you veterinary information that would be relevant to you. We aim to maintain your details correct on our database. You, the client, will provide us with correct and updated personal information to allow us to provide our services to you. These include name, contact details, animal details, details of owners or those looking after the animals and details of any other vet the animal has been registered with.